Malaysian police have named a senior North Korean embassy official they want to question in connection with the killing of Kim Jong-nam. Hyon Kwang Song is one of three more North Koreans being sought. One of the others is a state airline employee. Police also confirmed Mr Kim, half-brother of North Korean leader Kim Jong-un, died after two women wiped a toxin on him at Kuala Lumpur airport. North Korea's embassy in Malaysia angrily denied the claims. In a statement, it said the fact that the substance was on the hands of the women proved it could not have been a poison and called for the immediate release of the "innocent females" and a North Korean man. Speaking at a press conference in Kuala Lumpur earlier on Wednesday, Malaysian Police Chief Khalid Abu Bakar said they were looking for three North Koreans in addition to the previously announced suspects. One of them is Hyon Kwang Song, 44, the second secretary of the North Korean embassy in Kuala Lumpur. The others are Kim Uk II, 37, who works for Air Koryo, and another North Korean Ri Ju U.
Mr Abu Bakar said they had written to the North Korean ambassador to Malaysia asking him to allow police to interview Mr Hyon and the other two men, who are believed still to be in the country. If the ambassador does not co-operate, "we will compel them to come to us", he said, without giving details. Four other North Koreans named earlier in the case are thought to have left Malaysia already. The police chief also said security had been stepped up at the morgue where Mr Kim's body is being kept after an attempted break-in earlier in the week. "We knew there were attempts by someone to break into the hospital mortuary. We had to take precautions," he was quoted by the Malay Mail as saying. Mr Abu Bakar also confirmed widely reported details of the 13 February killing. 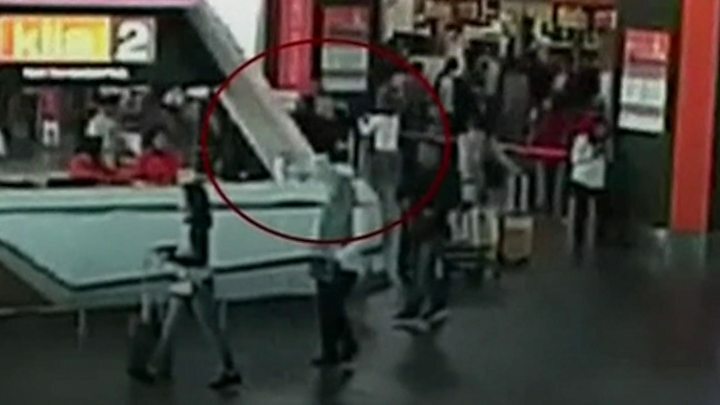 A leaked video of the incident shows a man resembling Mr Kim being approached by one woman at Kuala Lumpur airport, before another woman lunges from behind and grabs his face. Mr Abu Bakar said the two female suspects had wiped a toxin on Mr Kim's face with their bare hands "and after that they went away". Indonesian authorities have said that one of the women, Siti Aisyah, had thought she was taking part in a TV prank, but Mr Abu Bakar said the women had clearly been "instructed to clean their hands" and knew the substance was toxic. He added that the women practised the move several times beforehand in shopping centres in Kuala Lumpur. Authorities are still waiting for the results of the post-mortem examination of Mr Kim's body, and are seeking his family members to provide a DNA sample. North Korea has demanded that Mr Kim's body be returned to them, and has angrily objected to Malaysia conducting an autopsy of the body. Malaysia has cited the need to carry out an investigation as Mr Kim died on their soil. Relations between the two countries have become strained over the incident, with North Korea's ambassador to Malaysia saying he did not trust the police investigation and Kuala Lumpur recalling its envoy in Pyongyang. Ten people have either been named as suspects or are wanted by Malaysian police for questioning in connection to Kim Jong-nam's killing. Doan Thi Huong, 28, Vietnamese, one of two women suspected of wiping toxins on Mr Kim's face. She is thought to be the woman seen in CCTV footage wearing a white top emblazoned with the letters "LOL". Siti Aisyah, 25, Indonesian, the other female suspect. Indonesian authorities say she claims she thought she was taking part in a TV prank. Ri Jong Chol, 47, a North Korean. Muhammad Farid Jalaluddin, the Malaysian boyfriend of Siti Aisyah. Hyon Kwang Song, 44, second secretary at the North Korean embassy in Kuala Lumpur. Believed to still be in Malaysia. Kim Uk Il, 37, staff member of North Korea's state airline Air Koryo. Believed to still be in Malaysia. Ri Ju U, 30, a North Korean also known as "James". Believed to still be in Malaysia. Ri Ji Hyon, 33, a North Korean. Believed to have fled to Pyongyang. Hong Song Hac, 34, a North Korean. Believed to have fled to Pyongyang. O Jong Gil, 55, a North Korean. Believed to have fled to Pyongyang. Ri Jae Nam, 57, a North Korean. Believed to have fled to Pyongyang. What led to Kim's demise?